The employees are great & friendly. They have been helpful & patient. Great staff does not make up for misrepresentation of products available. My complaint:Impossible to order on line! It feels like a bait & switch! Every time I have ordered on line when I go to the store to pick up my order I am told that my order was not available-AFTER recieving message that my order was filled and ready for pick up. I am always offered similar product for a HIGHER cost. This has happened twice. Tonight I ordered an 1/8 costing $29 on line-I get a message saying my order is filled & ready to be picked up. I go in to pick it up after getting notification that my order was filled and guess what? My order was out of stock. I was able to buy the same weed from the same company for $10 a gram-paying much higher than I would have if the weed I ordered on line was in stock as advertised on leafly. ($29 for an 1/8) I have ordered on line 3 times. The first time I got a message saying my order could not be filled-they were out of what I ordered. O.k. I get that. The 2nd and 3rd on line order I got text messages saying that my order is filled & ready for pick up. Both times I spent more money than the price of my on line order. Staff has always been apologetic for the discrepancy. I appreciate the staff being apologetic. Does this happen to every person who orders on line? I have not experienced discrepancy like this at other stores. If a product is on the menu it is in stock. Never have I picked an item on line then gone into the store and be told sorry-we are out of that, here is something you might like. (For a higher price-every time) Are you intentionally listing items not in stock? Leafly posts how long ago the menu was updated and your stores menu was updated about an hour before I placed my on line order today. What's the point of having an on line menu if it's not current? I hope you can correct this problem asap. Everyone there is super friendly. Friendly service is what The Gallery prides itself on and many other aspects- thank you for your kind words and please, come and visit again real soon! Super friendly, helpful staff, clean and organized shop, great selection and prices. I'll be coming here instead of Commencement Bay from now on, this place has it all. We couldn't be more grateful to hear about your satisfaction with The Gallery. We work hard everyday to provide such positive vibes to you and those that experience our establishment- please, come visit again for more great experiences in the future. This store has quality cannabis with awesome budtenders and great security personnel. We appreciate such kind words. 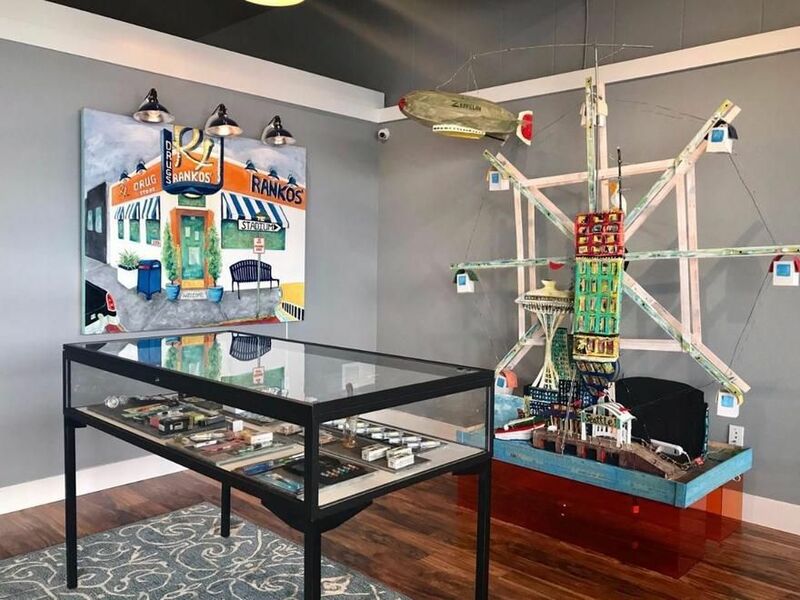 The Gallery works hard on providing quality service, safety and take pride in providing quality cannabis to enjoy on any occasion. I love this shop!! I had only one problem and they where on top of it!! Dam good prices too. And there workers are very awesome!! They know there S—t!!!! I'm glad we were able to take care of you while you visited us, customer service is always our top priority. We hope to see you again soon! We are very thankful you feel this way, the Gallery works hard to have the best customer service to make any and all leave our establishment happy with their choices and wanting to come back for more. Nice store with great quality marijuana located in a nice & busy shopping plaza. Thank you for your time to leave us a review, we appreciate our surroundings we have as well- very friendly neighbors. Please come see us again soon! We are sorry to hear but truly appreciate the review non the less. Is there a particular price range you would like to see on our shelves? We appreciate you taking the time to leave us a review, we are always here to help. Please come and see us again! 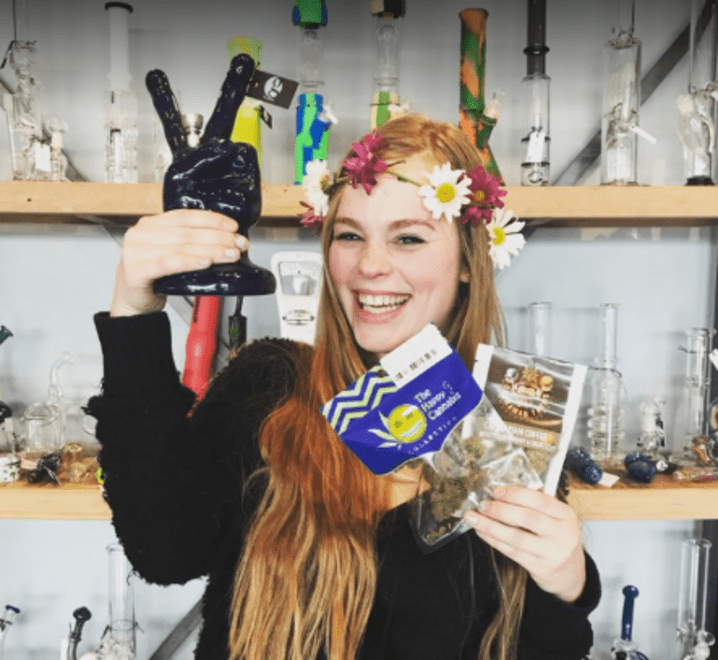 just the right size place, the budtenders really extend their help in finding the right strain for you, and getting you the deals and 411 on new product. shout-out to security staff!! Thank you for taking the time to leave us a review, we love helping our customers find the right product. Come visit us again soon!